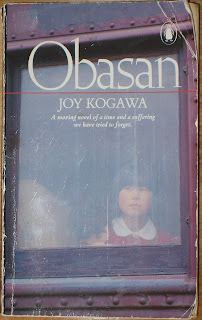 As far as I can tell, this is my first book by this author, though it won't be my last. 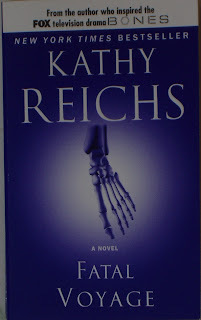 I enjoyed meeting the main character, forensic anthropologist, Temperance Brennan. She is a very likable person that I could relate to. Tempe is called in to investigate an airline disaster. All is going well until she finds a foot that doesn't appear to have come from any of the persons on the plane. The story takes off from there. I found it hard to put the book down. Could have easy read it in one sitting (420 pages) if it weren't for family obligations and food calls. It will be interesting to see what happens with regard to Pete (husband in Charlotte that she is separated from) and Ryan (occasional partner in Quebec) in the next novel in this series. 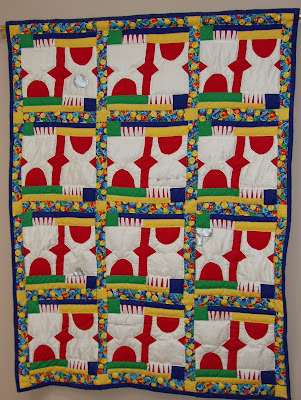 I have been viewing this quilt at my dentist's office for the past 5 years. I have looked at it during each visit and wondered about it. I never could figure out the abstractness of it. Last week I was there with my son and I realized that there was a dark blue toothbrush. Now how had I missed that? Next came the light bulb moment, its not an abstract but teeth!!! Oh my gosh, how did I miss this. I never made the connection. A closer inspection shows filling on some teeth and orthodontic brackets on others. 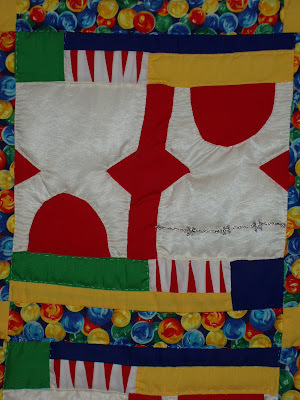 This lovely quilt was made by Joy, the receptionist in the office. She adapted it from a pattern in a magazine. Sol Wheat lives in the futuristic city of Ash Harbor. Possibly one of the last remaining human populations after a world wide ice age has made outdoor survival impossible. To help him deal with the challenges of being a teenager, Sol has taken to running, and with the encouragement of his father, boxing. When his father disappears, Sol takes it upon himself to find him and to determine whether it has anything to do with the mysterious "accidents" that are plaguing Ash Harbor. Sol is now forced to grow up quickly and at the same time, to decide what type of man he wants to become. He realizes that he could very easily become a violent, lawless type that his father would never have respected. While this story occurs in a setting its readers will probably never experience, they may have to face similar moral issues. It's not always easy to decide which is the correct course of action. In Sol's case he is lucky to have a teacher he trusts, Ana Kiroa, and a friend, Cleo to help guide him, and the unlikely mentor, Maslow, to keep him alive long enough so that Sol can find his answers. Once you get past Sol's tough guy image, you realize that he's a good person and you'll find yourself cheering for him. I would recommend this book for every teacher's bookshelf. There is a student like Sol in each classroom needing to connect with a caring adult. I will be passing this book along to a new friend that I met at the Endurrun. He's a runner of course, but also a boxer. Thanks to Amazon for the cover photo. I love this stage of the race. It ends almost in my front yard (well, across the street where the race Director lives). yippee, we get to sleep in a bit later as no driving. Our water station was at the 7k mark which is 3k from our house. 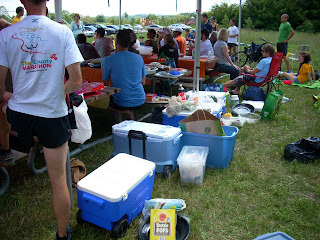 The first two pictures show us all set up and waiting for our first runner. Its a nice rural setting with farms on all sides. I thought we were going to make it yesterday. I know the clouds looked ominous and the thunder was peeling off in the distance. 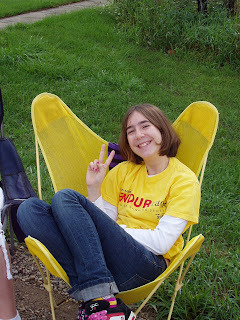 I really was trying to convince myself that it would blow away. It wasn't to be. The skies opened and started to dump on use as the runners approached out water station at the 3.5km mark. OK, it wasn't heavy or anything, the runners were managing so of course we continue. Being that this is an out and back route, we were also the water station at the 14km point. For this return trip our weather luck had totally failed. 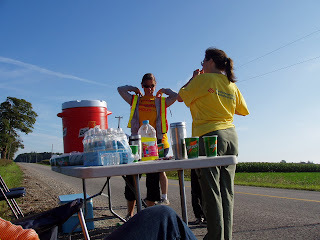 By the time my final runner was approaching, I was the only volunteer standing at the road side, a cup of water in one hand and and a cup of Gatorade in the other. I was yelling all the encouragement I could. 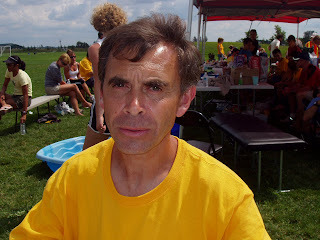 My runner was still upbeat and I knew he was going to power his way up those final hills to the finish. Once he was past it was back to my car to return to the start/finish area. I couldn't believe it when it started to rain harder. What could I do? 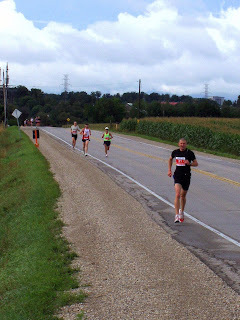 I had my daughter lower her window so she could call out further encouragement to the 2 runners we passed on the way in. When I reached the finish there were at least a dozen volunteers and race officials standing in the pouring rain awaiting the remaining runners. Wow! 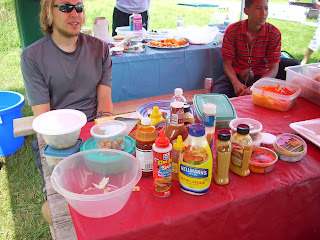 Somehow the 'food' volunteers managed to put on a wonderful (and mostly dry) dinner. Sorry I have no pictures, but you'll understand about wet and cameras. 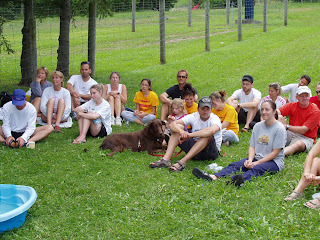 The two pics shown are from stage 2. The first is Julie, she is co-ordinating all the food for the event, as well as being my friend she is also wife of the race Director. Next is the wife and daughter of one of the runners running along the final 200 metres of that stage. 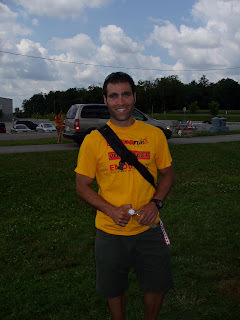 As a runner, I know what I like to eat, when to eat it and how much to eat. Trying to feed 40 very different runners with a variety of allergies and food preferences and tolerances is almost unimaginable. Add to the fact that we are located in the middle of field under a tent. eeks. Aside from requests for Double Stuff Oreos, chocolate and salty stuff, it gets tough selecting food that has sufficient carbs, protein, ease of preparation and it has to taste good. 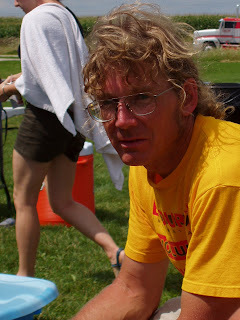 While the runners are on the course, its kinda easy, offer them water and Gatorade along with the occasional gel and they think we are wonderful. Afterward is a different story. A lot of trial and error has determined that burgers, whether beef, chicken or veggie are eagerly accepted. Same goes for meat and cheese sandwiches, wraps etc. 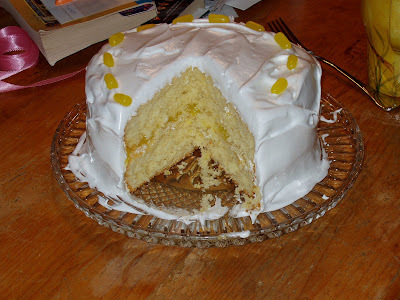 Foods suitable for those on more restricted diets is the biggest challenge. Its been fun trying some vegan style recipes. The curried brown rice/salmon salad (without salmon for the vegans) was a big hit. The carrot cake with tofu in place of dairy and eggs didn't go over so well. I am still surprised that the broccoli salad with feta cheese and raisins is so popular. Tomorrow's Greek style pasta salad is always a hit. This year I'll leave the feta cheese and the Parmesan on the side. You might not think that runners of this calibre would go for desserts, but they are running so much this week that it seems they can hardly replace all the calories they are expending. Sunday after the Marathon will be the major dessert day. I am thinking of something very chocolately.. 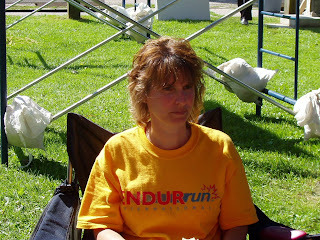 I am taking a break from my usual this week and am volunteering at the Endurrun 2008. 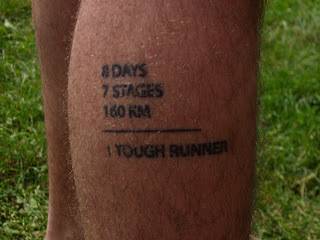 8 Days, 7 races, 160 km. What an opportunity for meeting some terrific runners and their families/friends/supporters. I enjoyed it so much the first time, that I am back for my third year. My kids have been with me each time, and my hubby has been a road Marshall during the Marathon (an during today's 1/2 Marathon). That's my daughter in the first picture. We hosted the first water station today at the 3k marker. She is waiting for our first runners to come in site. What and awesome group of runners. 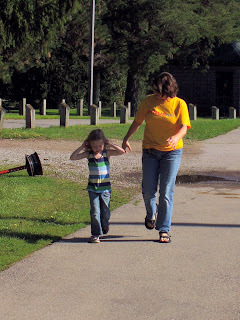 Even though they are concentrating on their running, they still and polite and friendly. You have to love them. I admit, I will become very possessive of them as the week goes along, and I'll start referring to them as 'my runners'. The second pictures shows the first runners approaching. An exciting moment. We are never sure when they will arrive, but as you can see, we get a few minutes notice as they top the hill from the river. I suspect that they are as happy to see us as we are to see them. This route is special as it passes through Conestogo which is where we live. 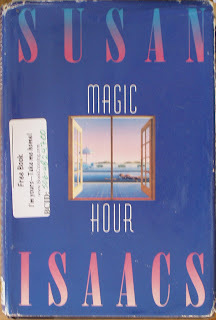 Each year I chose a book to read during our waiting times. 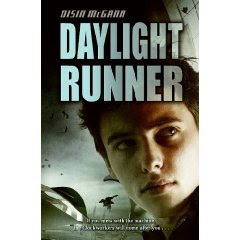 This year I have selected "Daylight Runner" by Oisin McGann. I'll post my thought once I have read further. At 250 pages this is not a big book, but the message it sends is huge. It is the story of Naomi and her family, and the treatment they received at the hands of the Canadian Government and their fellow Canadians during World War 2. Their crime was being of Japanese ancestry. This book was first published in 1981 yet it still presents a vital and current message. Too this day, people around the world are being prosecuted as a result of their ethnic and religious roots. I remember being told that we study history so that we can learn not to repeat its mistakes. After reading this book that message comes through loud and clear. If you want to read more fiction on this subject, I would suggest: "Snow Falling on Cedars" by David Guterson. This book has been registered with Bookcrossing.com in memory of my dear friend Julie Ann Thorburn and will be given to another of her friends. Moving into a retirement home doesn't mean the end of your life. In fact, if you ask Sylvia, George, Greta and Ruth, I suspect that they will tell you quite the opposite. It's early spring and the four have just moved into the newly finished 'Idyll Inn'. Their chance meetings on that first day led to unexpected friendships and more. I was attracted to these characters from the first lines when they were introduced. They seemed so alive, not like people being warehoused till they died. Regardless of their ages, they have stories to tell, the stories of their varied lives,their hopes and dreams. Each of them has a life well lived, but with space for much more to come even if their families and the staff don't realize that. It was warming to read about their developing friendships and the depth to which they could depend on each other. 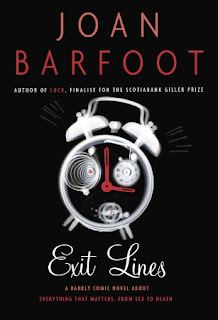 While this book is called 'Exit Lines', I found it more to be about 'Beginnings'. I don't always look for, nor find messages in books, but this one spoke to me loud and clear. Live everyday, enjoy yourself and enjoy those you surround yourself with. Regardless of your age or physical status, its your life to live, don't be controlled by the thoughts of others on how you should be living. I have also read 'Charlotte and Claudia Keeping in Touch' by this author, and enjoyed this book much more. Thanks to Booklounge.ca for the cover picture.